We wrapped up Day 1 with an Innovation Showcase to show some cool stuff, and a workshop on Design Thinking and Effectuation. Philippe Vayssac continues to impress with a constant stream of successful innovations. In his presentation, “Innovations in the Insurance Industry and Beyond: Programmable Telecoms, IoT, Simply Making the World Better.” he showed how he’s improving on exo.expert to make farm insurance through Groupama even better. This also included a quick demo on counting the crop density to work out if reseeding is required. exo.expert+ is a great example of design thinking and effectuation in practice. Carl Gandeborn shared how his start-up NewINSIKT is improving the link between investment and return within telcos. With the presentation: Giving a CFO new glasses : Translating traffic flows to profitability flow in high volume and complex networks. While at first sight, such a system would be expected to be there already in telcos’ networks, surprisingly it is not. 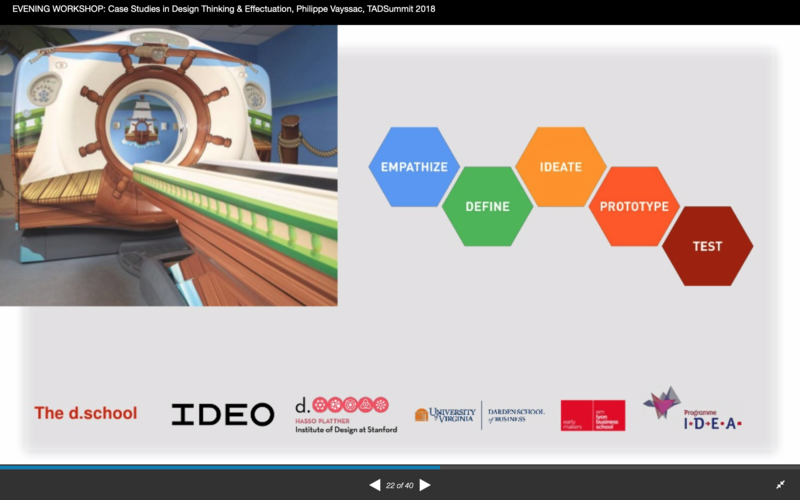 We wrapped up Day 1 with a workshop on Design Thinking and Effectuation. Philippe’s work continues to show this process works. In the Programmable Telecoms for Telcos session in Day 2 Yusuf Kaka from MTN shared they also use Design thinking in their processes. Through TADHack we also promote these ideas to help people create world-changing hacks. Its a great presentation, and this method works!